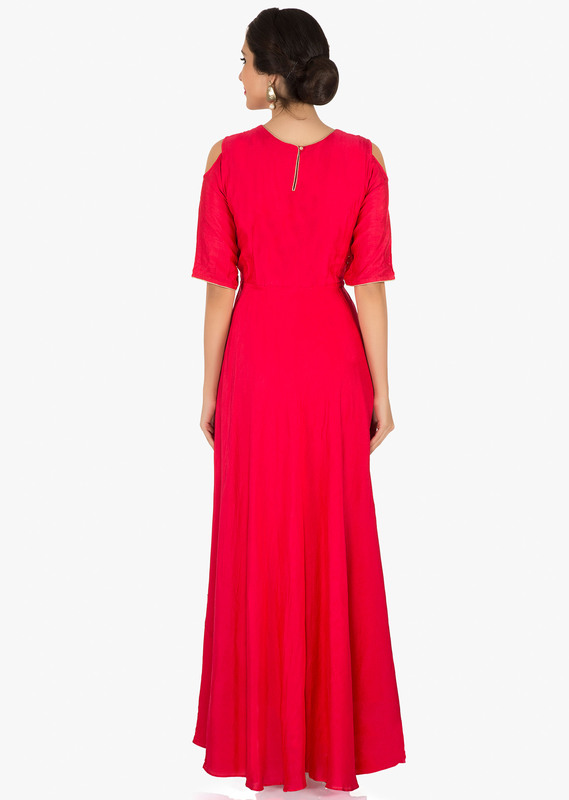 The simple yet stylish gown in rani pink is featured in cotton. The gown has a rose motif at the bodice. 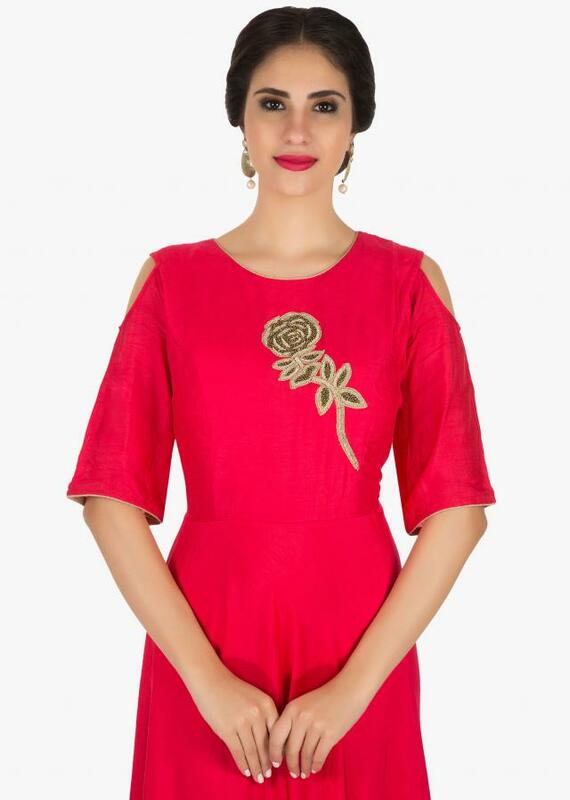 It is enhanced in zardosi embroidery with cold shoulder style.